Sep 11 A Black "PowerPuff Girl"
Don't try to act like you don't know what that song is. It's only the theme song of one of Cartoon Network's most popular series "The Powerpuff Girls." Who are the Powerpuff Girls you ask? Just three cartoon drawn girls that were created by a scientist when an experiment went wrong. Not only are they known for being adorable but they are super strong and also save the world from evil monsters. My favorite will forever be Mojo JoJo. If you love the cartoon then this next bit of news will make you a super fan. Last week, Cartoon Network announced that they would be creating a fourth Powerpuff Girl. When I first heard the news, I admit that I really didn't pay it any attention, but then rumors started swirling that she would be a black girl and that changed everything. 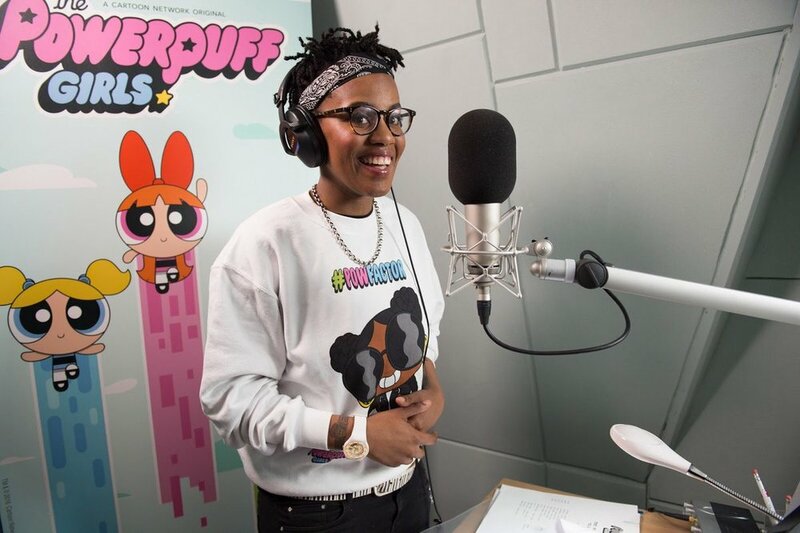 Meet Toya Delazy, a 27-year-old singer, songwriter, actress, and rapper from South Africa who will be the voice of the newest addition to the Powerpuff cast. She's quite familiar with Cartoon Network because in 2016, they tapped her to create a South African version of the theme song. Delazy is overjoyed to be voicing the newest Powerpuff Girl because she grew up watching the cartoon. Life has truly come full circle. The newest addition to the cast will make her debut September 17, 2017, and I don't know about you, but I can't wait to hear a black girl telling Mojo JoJo to to mind his business. Toya, thank you helping my childhood dreams come to life. You are black girl magic.